How Much Does a Furnace Repair Cost in New York? Want to know how much your furnace repair will cost you? Well, without inspecting your particular furnace, we can’t know for sure. But, to give you an idea of what to expect, we’ve provided a (broad) price range below. A furnace repair in New York can cost anywhere from $200 to $500+, with the average furnace repair costing $350. Let’s take a closer look at those factors. Need an estimate? Just contact us. We offer top-notch furnace repairs in the New York area. Regardless of whether you have an electric, gas or oil furnace, a lot of things can go wrong over time and necessitate a repair. Before you schedule your furnace repair, check to see if your furnace is still warranty. Parts warranty. This warranty covers the cost of any replacement parts that are deemed defective due to faulty manufacturing. A furnace’s parts warranty usually lasts around 5 years and is provided by the manufacturer (i.e. Trane, Goodman, Carrier, etc.). 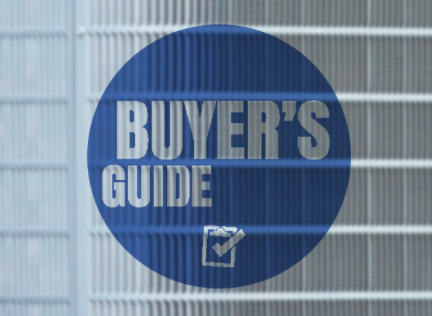 Because a furnace heat exchanger is particularly pricey, however, manufacturers sometimes offer lifetime warranties for furnace heat exchangers. Labor warranty. The contractor who installs your furnace will usually offer a labor warranty that lasts from 1 to 2 years from the date of the installation. This warranty covers the cost of labor to complete any repairs that arise due to faulty installation. Extended warranty. Both manufacturers and contractors often offer “extended” warranties. Depending on who you buy it through (contractor or manufacturer) this warranty will add anywhere from 5 to 10 years onto your existing parts or labor warranty. Not sure if your furnace is still covered under warranty? Our suggestion is to contact the contractor who installed your furnace. They will know whether your furnace is still under the labor warranty and can contact the manufacturer to determine whether you’re still under the parts warranty or an extended warranty. Here’s the bottom line: The higher the quality and experience a contractor has, the more they typically charge. But don’t be intimidated by a higher repair price—choosing a higher quality technician means you’ll likely pay more upfront but you’ll save money in the long run. Why? Well, a furnace repair done right means you won’t have to pay for the tech to come back out a week later (or months later) when the furnace acts up again due to shoddy repair work. So what’s the difference and why does it matter? Well, with flat-fee pricing, there are no surprises or opportunities for techs to “milk the clock” when it comes to the final bill. Flat-fee pricing means a tech inspects your furnace and then tells you, before any work begins, how much your repair bill will be. Need professional furnace repair in the New York metro area? Feel free to give us a call to schedule an appointment or schedule online below! We’ll inspect your furnace and offer upfront, flat-fee pricing before any work begins. Why Does The Pilot Light On My Furnace Keep Going Out? A New York Tech Explains.